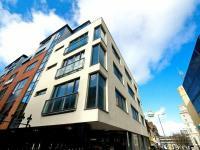 Cunard Apartments are located in the centre of Douglas and look onto the bay. Less than half a mile from the Sea Terminal, these modern apartments have free Wi-Fi. Cunard Apartments offer lots of light, a spacious living area and pleasant décor. 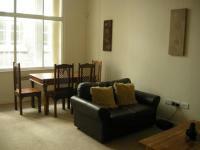 Edinburg Apartments offer a range of quality apartments, situated in and around Edinburgh's city centre. All 25 apartments have separate living areas and are housed in a range of buildings from 400 year old to contemporary and new build. Amenities include fully equipped kitchens with microwaves, refrigerators, and cookware, televisions, DVD players and bathrooms with hair dryers. Guests also benefit from a housekeeping service. 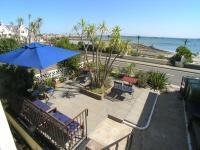 Ideal self-catering holiday accommodation for a couple, group of friends & for families with young children. More beds available. 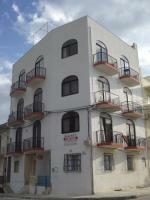 1 bed apartment (sleeps up to 6). Located in a quiet street Islington, London (Zone 1). Near Angel Tube Station (5 min. walk) and Kings Cross St Pancras (10 min. by bus). Just 4 min. walk to The Business Design Centre, British Museum (21 min. walk), Arsenal Football Club (14 min. via train or 30 min. Located 29km from all the main Orlando attractions and 50km from Orlando Airport. 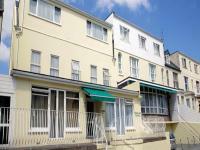 Beach House studio apartments located on St Helier beachfront. Parking nearby. Howard Davis Park is 400 metres and St Helier Marina is a 20 minute walk. Some apartments have sea views. All apartments have private patio, seating & dining areas, TV, compact kitchenette with microwave, refrigerator & tea/coffee facilities. Laundry. Free Wi-Fi. Family rooms. Continental breakfasts served daily. With a summer rooftop pool and indoor pool with hydromassage, Park Apartments is 100 metres from the seafront in Sliema. It features a Mediterranean restaurant and 24-hour café. Blue Tree Resort features 4 pools, fitness center, family activities, meeting facilities, business center, Wireless Internet, mini golf, tennis, basketball and volleyball courts. Swim and relax in one of our 4 beautiful pools. Enjoy an invigorating workout in our fitness center or tee off on our mini golf or nearby championship golf course.